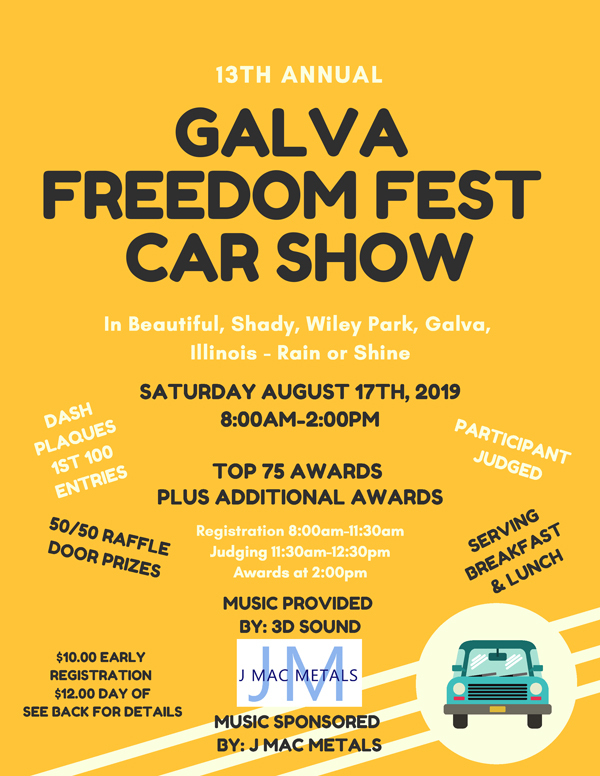 The Galva Freedom Fest Committee announces two events, a Pancake Supper which will be sponsored by the Filling Station in Bishop Hill and the 13th Annual Car Show which will be held in Wiley Park. 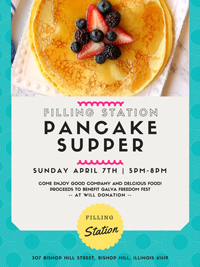 On Sunday, 7 April, the Filling Station in Bishop Hill invites you to come enjoy good company and delicious food from 5:00 p.m. until 8:00 p.m. for an at-will donation, the proceeds of which will be used by the Galva Freedom Fest Committee to defray the expenses incurred for the 4th of July Fireworks celebration held each year at the Galva Park District. 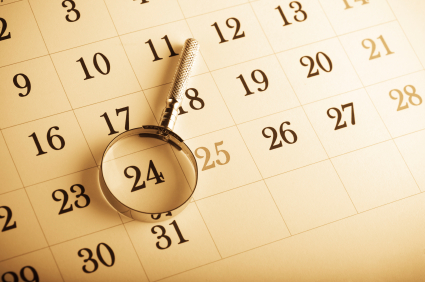 Get your projects submitted to the FUMC between the dates of 8 April and 22 April for help with your local projects. See the information below for more information. 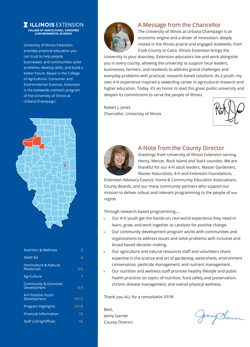 The University of Illinois Extension has released their 2018 Impact Report for Henry, Mercer, Rock Island & Stark Counties. University of Illinois Extension provides practical education you can trust to help people, businesses, and communities solve problems, develop skills, and build a better future. 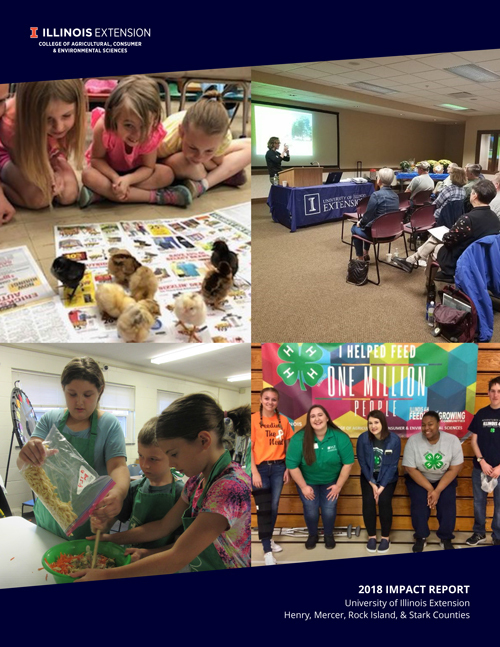 Based in the College of Agricultural, Consumer and Environmental Sciences, Extension is the statewide outreach program of the University of Illinois at Urbana Champaign. The Galva Arts Council will once again enliven Wiley Park through the second Levitt AMP Galva Music Series, further activating the large, underused green space into a dynamic hub for self-expression, connection and layered arts experiences set to free, live music from across the globe. 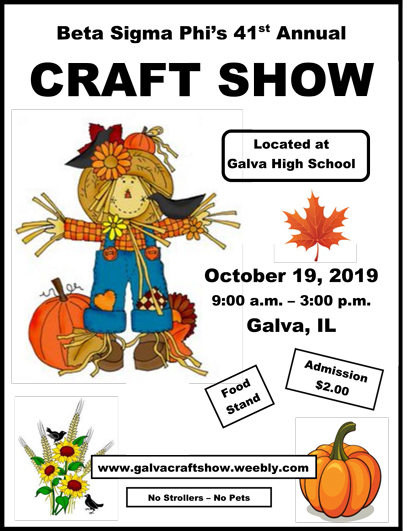 The 2019 series aims to deepen community engagement and expand upon community partnerships, creating a weekly communal celebration of the best Galva has to offer. For photographs of last year's series of concerts, visit our Gallery or visit the official Levitt AMP Galva Facebook page. 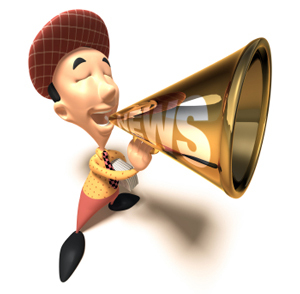 Community Breakfast - The Galva American Legion will be holding a community breakfast at the Galva Legion Building located at 45 Wallace Street on 14 April 2019 from 7:00 a.m. until 1:00 p.m. They will be serving all you can eat pancakes, sausage, bacon, eggs, biscuits and gravy, coffee, milk and orange juice. Pop and bottled water are available for an extra charge. A donation of $6.00 is appreciated. On 27 April, the Galva American Legion will sponsor a Texas Holdem Tournament at the Legion Building. Sign in starts at 5:00 p.m. and play will start at 6:00 p.m. The entry fee is $50 and one rebuy will be available for $25.00. Food and drink will be available. The Galva American Legion Post #45 has received their charter for a new Sons of the American Legions Squadron. The Legion is looking for new members to get the squadron rolling. If you have a parent, grandparent or great grandparent or step parent or step grandparent that was in the military, you are eligible to join. 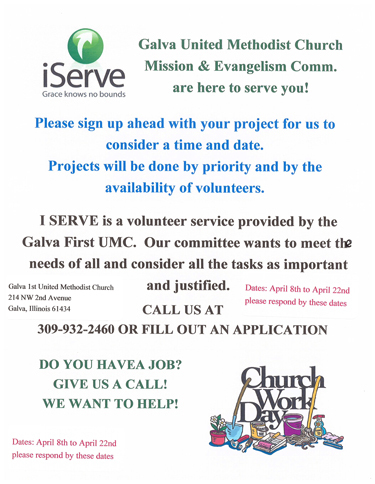 Click on the brochure above for information regarding this year's annual First United Methodist Church's iServe program. Steeple Building Museum now open Mondays thru Fridays from 10 a.m. to 5 p.m., Saturdays noon to 4 p.m., and Sundays 1 to 3 p.m. The Albert Krans Livery Stable will be open Mondays thru Fridays 10 a.m. to 5 p.m. and on weekends during special events. The Spets Stuga will be open 10 a.m. to 5 p.m. Fridays, Saturdays, and Sundays. 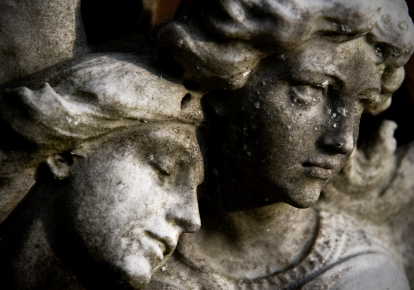 Wiley House Museum Now Open 1:00 to 4:00 every Sunday and Wednesday Afternoon until Labor Day. The Museum is located at 906 W. Division St.
© 2017 City of Galva. All Rights Reserved.